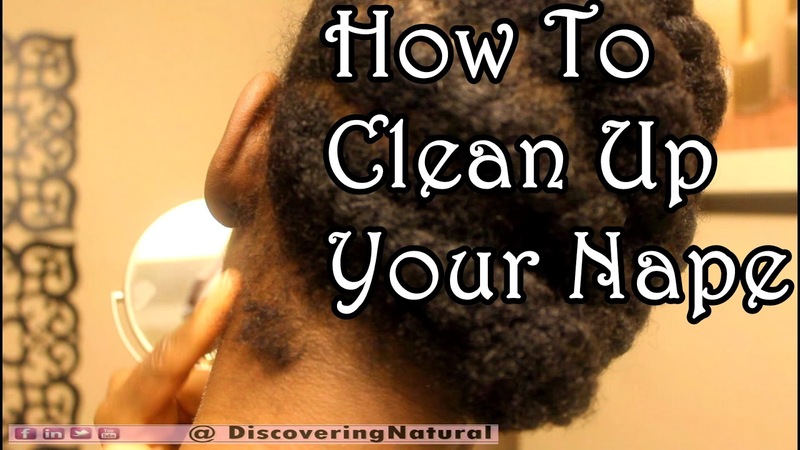 How do you clean up your nape area? What do you call that area? 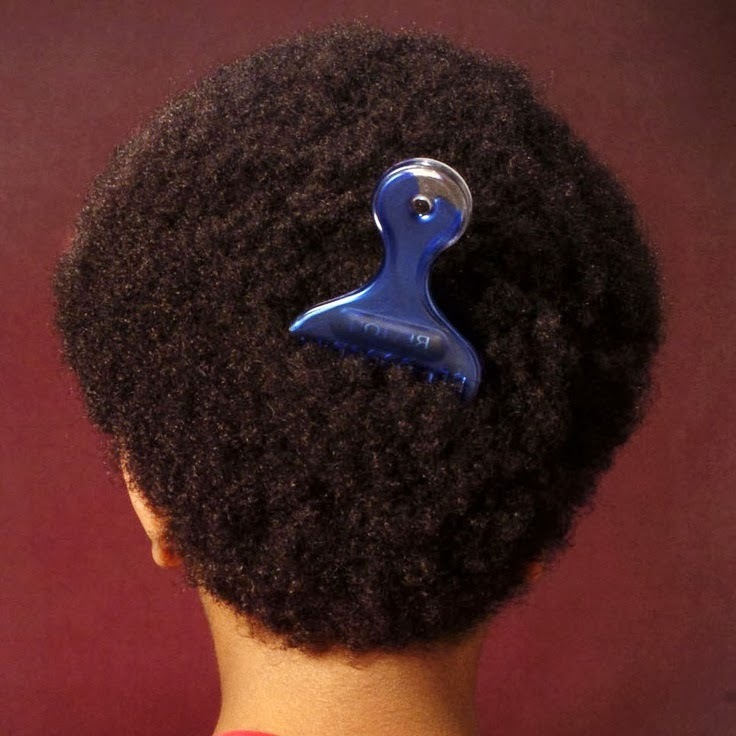 Quick Question: "Why do people wear a comb on the back of their #afro?" Answer: Because they are constantly picking their fro to help it grow out. So they stick it in their hair instead of putting it in their pocket. Thought you might enjoy that little tidbit of information. Now on to Today's blog post. When it comes to keeping your afro soft and moisturized, there are 4 basic ways of doing this. 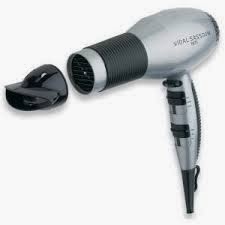 If you find your hair drying during the day, spritz it lightly with some moisturizing hair spritz. This process is known as "Proactive Moisturizing". Natural hair is "naturally" dry because of the structure of the hair. The curves and coily nature of our hair does not effectively allow oils from our scalp (sebum) to travel up the shaft of her hair well. This issue causes our ends to appear and even feel dry. When your proactively moisturize your afro during the day, it helps in retaining that moisture that is absorbed by the elements. 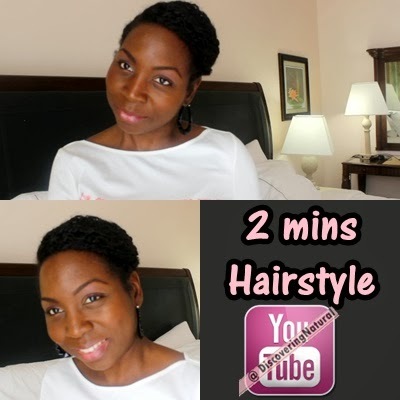 Watch below to see how to create a moisturizing hair spritz. How do you keep your Afro soft and moisturized? 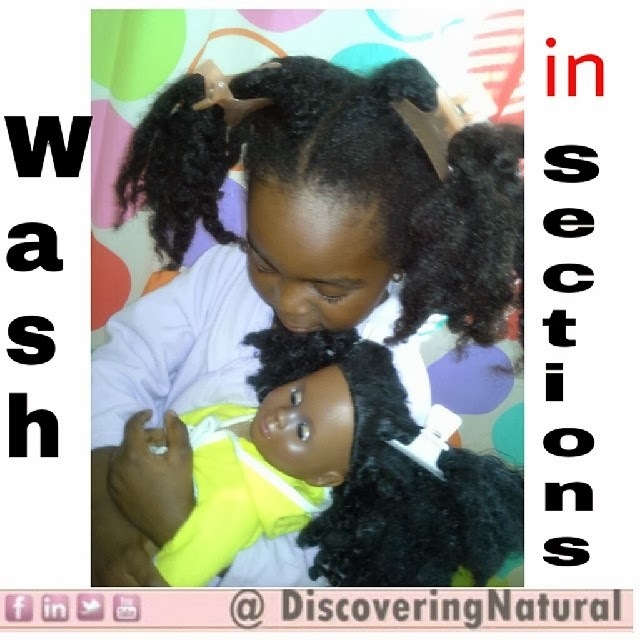 How do you choose which products to use on your Wash Day? Today was Lil Sis's wash day, but she was not feeling too good. I wanted to skip the whole process, but her hair was in dire need of a wash. It was tangled up and not so fresh, you know what I mean. If she was feeling 100%, I would have done the whole end of month clarification process (Click here to see her hair regimen). I had to come up with a simplified version. I skipped the whole pre-wash detangling process. This usually takes at least an hour due to the length of her hair. Sectioned her hair into 4 parts. For each section, I applied a sulfate-free shampoo, Elasta QP Crème Conditioning Shampoo to her scalp, and then her hair, until I was done applying to each section. Then I rinsed off the shampoo. I then applied the Shea Moisture Purification Masque. I let this sit in her hair while I gave her a Nigerian bath ...slowly. I also let her wash her doll's hair during this time. This allowed us to get at least 10 minutes of deep conditioning time. LOL! After rinsing off the masque, I generously applied Extra Virgin Olive Oil (EVOO) to each section, put them into 4 super jumbo bantu knots, covered with a plastic cap and her knitted hat. I dressed her up and we proceeded to the Post Wash process. About 10 minutes after I applied the EVOO, I started working on each of the section. I applied my oil mix to her scalp and the length of her hair. Massaged her scalp. I applied Shea Moisture Curl and Style Milk and proceeded to detangle her hair (finger detangle followed up with a wide tooth comb detangle) I then sealed in the moisture with my DIY Shea Aloe Butter. I then twisted up her hair. This process was so stress free and Lil Sis like it because it took less than the normal time that it usually takes to do her hair. The best part about it is that her hair is moisturized, and of course, clean! What do you do when you have to wash your hair but a little under the weather? Is It OKAY to eat Cookie Dough? Watch and see what Big Sis and I think. 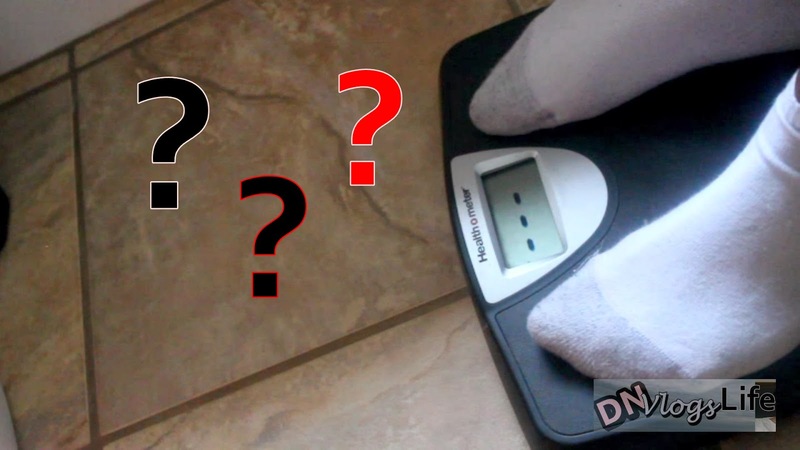 If you have not yet subscribed to our vlog channel, DNVlogsLife, click HERE to do so. 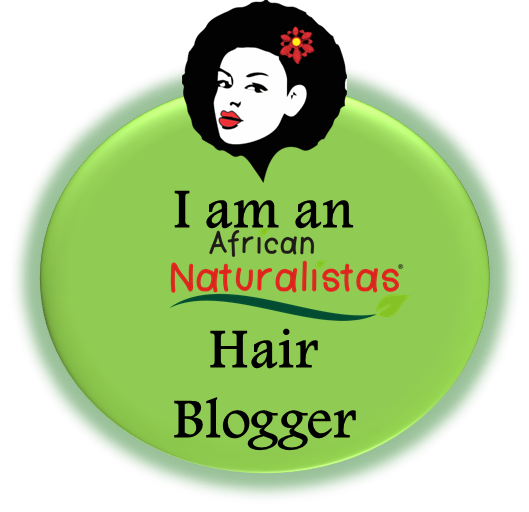 Last week in one of my blog posts, I mentioned how I had noticed more shedding and breakage in my hair. After much research, I started to take at least a teaspoon of raw garlic to help reduce the shedding. Garlic helps to regenerate cells and is antibacterial, antifungal, and antiviral. It also contains sulfur and the allicin which helps in reducing shedding. Now, why am I taking MSM Supplements? Well, two months ago, I attended a 2 hour Zumba Fitness class at my local gym. At the end of the class, I noticed I had some pain in the back of my left foot, it was Achilles Tendinitis. I underwent some treatment and it felt a little better, but then I started experiencing a bit of joint pains, I was informed to add MSM (methylsulfonylmethane) to my daily vitamin supplements. I have been taking them twice a day now and I must say, my joints feel a bit better. Any Changes In My Hair Since Using Garlic? Since I was wearing a protective style for the past week, the only difference I noticed when I undid my cornrow/twists style was that there was less breakage. I still had some shedding since I actually had the style in for 2 weeks. 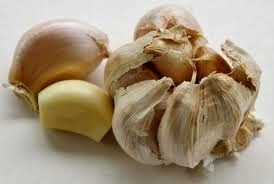 I will keep on doing the daily garlic intake and report back in 2 more weeks to see if the amount of shedding decreased. 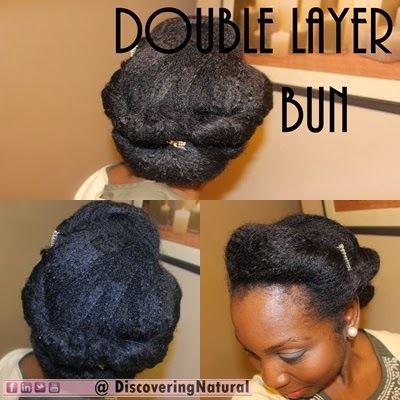 This style is great because not only is it a protective style, it can be worn for formal and professional occasions. QOTD: Why does one side of my hair grow longer than the other side? "If you have hair on one side of the head that appears to grow longer, faster, stronger, or thicker, it may be a matter of normal variance. On the other hand, it may be a matter of external influences. If you favor sleeping on one side or the other, you may be experiencing some erosion of the hair due to rubbing against the pillows or bed linens. Perhaps you spend a lot of time driving in your car with the window down and your hair on one side is being blown more by the wind, causing the hair to be roughed up." 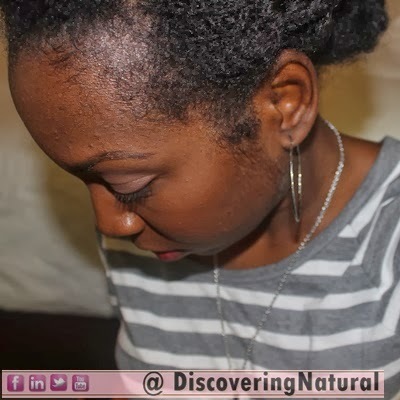 Quick Disclaimer: Constant heat on natural hair can damage this hair and cause irreversible consequences. Big Sis wanted a blow out and Mommy was up to the job. I started off by giving her a 15 minutes Protein Treatment using Aubrey Organics GPB Conditioner. 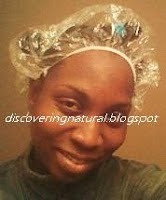 The purpose for this was to strengthen her hair for the heat that blow drying can put on natural hair. Followed up with shampooing her hair with Elasta QP Crème Conditioning Shampoo. 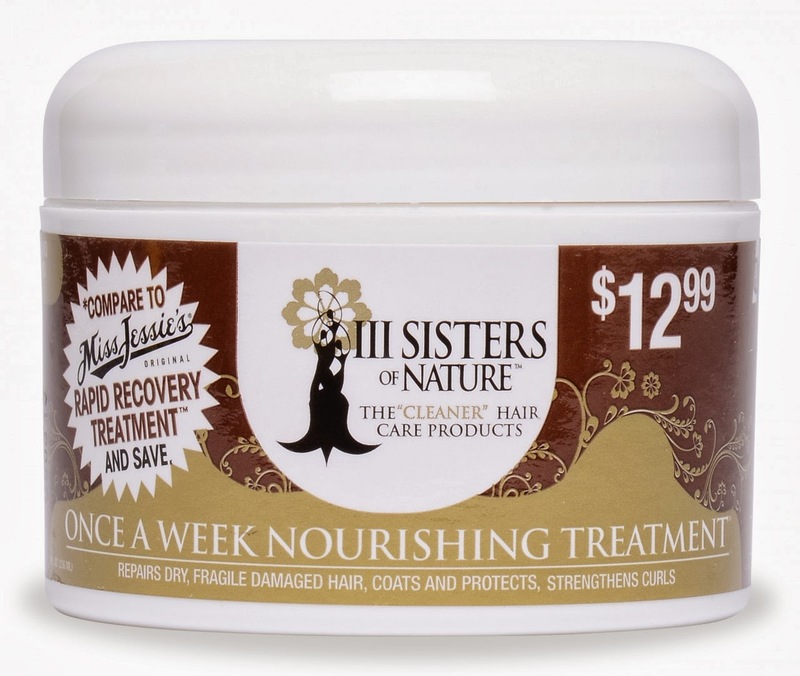 After this, I used the III Sisters of Nature, Once a Week Nourishing Treatment as a deep treatment for 8 mins. 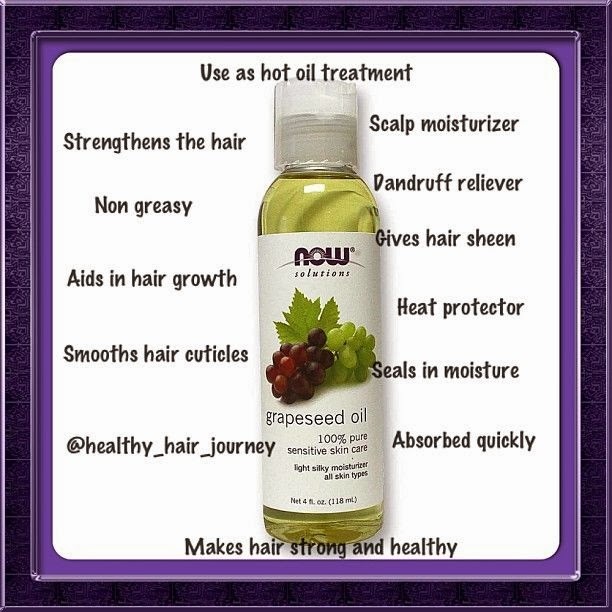 This was our first time using this product that promises to repair dry and damaged hair and strengthen hair. This product left her hair very soft. I had watched lots of not so positive reviews on YouTube and was expected a negative reaction, but her hair LOVED this products. WooHoo!! I sectioned her hair into 4 quadrants, and going from quadrant to quadrant, I started off by moisturizing her scalp with my oil mix. Then, I moisturized her hair with Curls Blissful Lengths Kukinut Oil Elixir, a product filled with great oils to strengthen and moisturize dry hair, and to protect hair from over processing during heat processing. Of course, we had to top that off with our favorite moisturizing leave in conditioner, Giovanni Direct Leave In. Per quadrant, I had about 4 chunky twists. I let her hair air dry till it was about 60-70% dry. I untwisted one chunky two strand twist, then taking one of the strand, I generously applied Grapeseed Oil and used the tension method to blow dry that section. After blow drying the section, I apply some of my DIY Shea Aloe Butter and twisted it up to keep it stretched. I love the shine and sheen that the grapeseed oil gave her hair. We followed up by trimming her ends, which needed to be done. 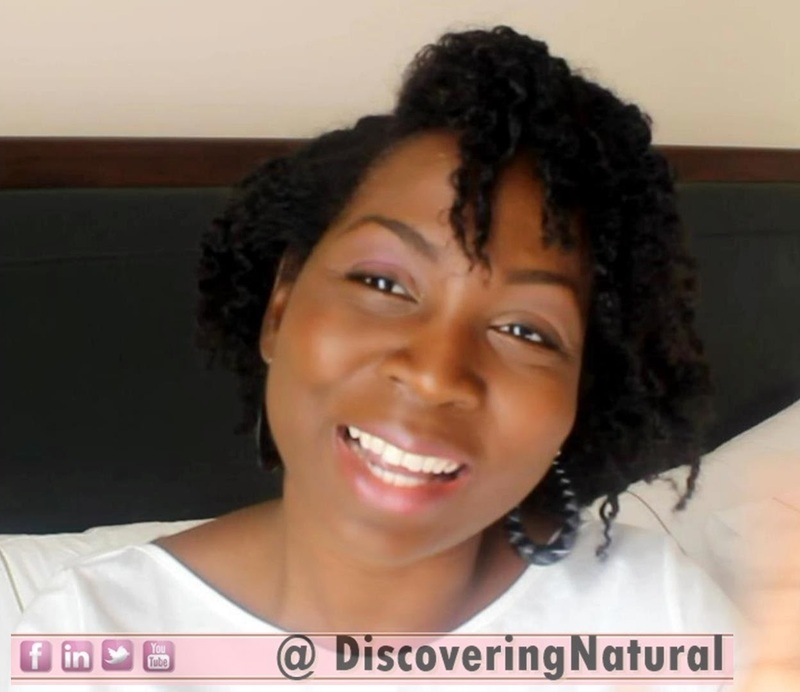 Do you blow dry your natural hair? What is your method? For the past month, I have been experiencing more than normal amount of shedding. 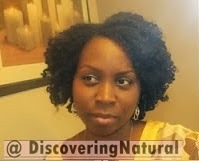 I tried my shedding remedy, using Aubrey Organic GPB Conditioner. This did not work. This use to work in the summer, but the winter... LAWDY LAWDY!! has not been kind to my hair. Currently, I have my hair in a protective style and I am going to start trying this new remedy and see if it helps. What is this new remedy? Adding Garlic in my regimen; by adding in my deep conditioner and/or taking garlic pills and/or consuming garlic naturally. Well, researching help for reducing shedding, garlic treatments kept on coming up. There was the one where the lady mixed it with black tea and infused in Extra Virgin Olive Oil.... and then there was the one where another lady used garlic oil from pills and pour on her scalp. 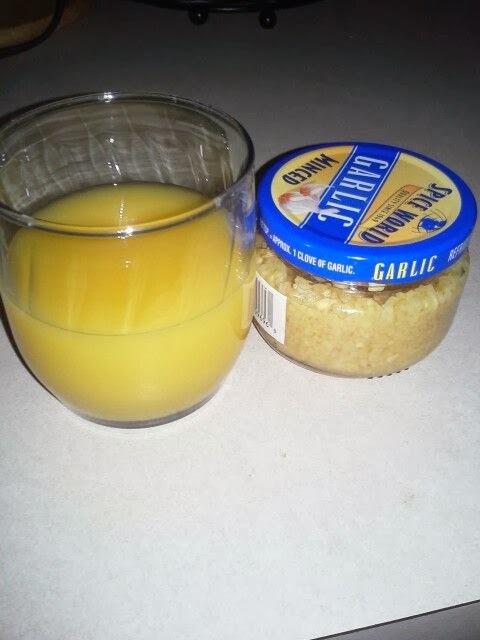 Daily, I will take a 1 teaspoon of minced garlic and chase down with some lovely OJ (Orange juice). 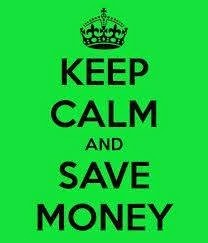 preferably at night!! No garlic breath. I will share in future posts if this works or not. Want to see more weekly vlogs, subscribe to DNVlogsLife channel. Get behind the scene of DiscoveringNatural Life and share our experiences in Parenting, Living Life, and Growing in Love. 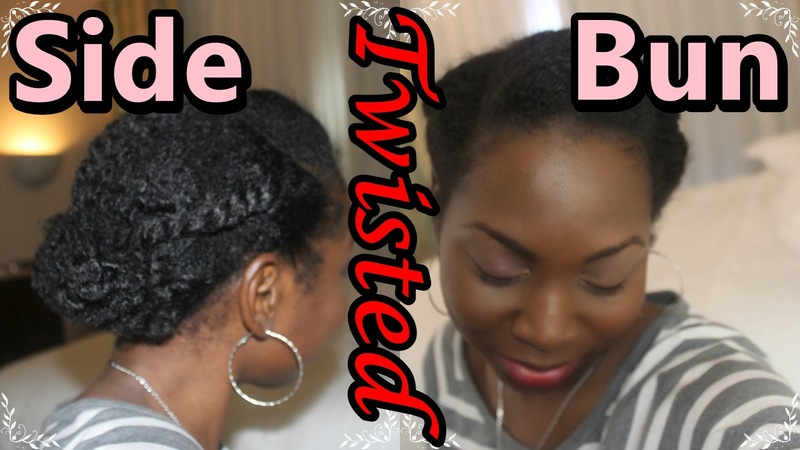 Most people do twists in their hair after they have stretched their hair overnight by braiding or twisting in chunky twists. Some even stretch using threading. 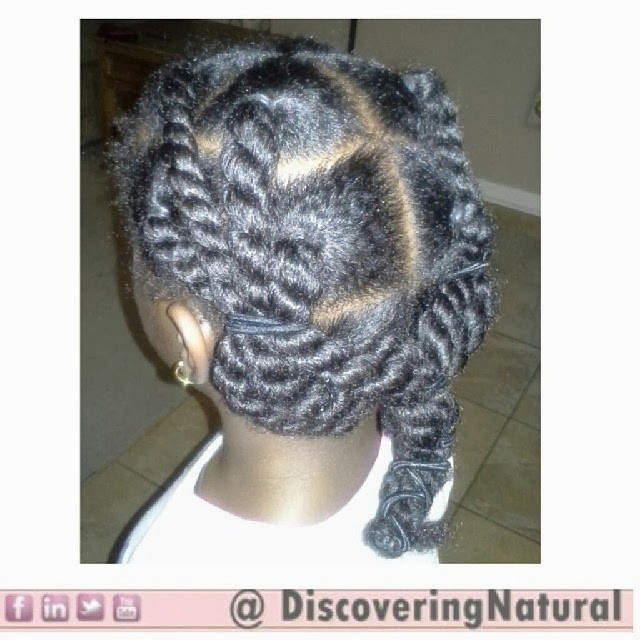 All those are great methods of stretching natural hair. 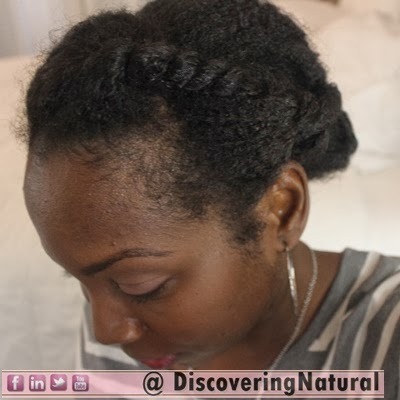 But, what if you don't have time to do the twists in the next day after the hair has dried? 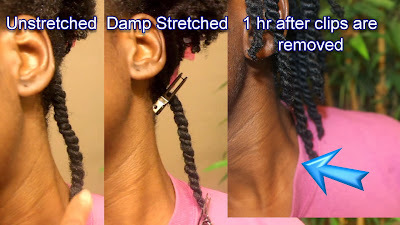 That is when you use this method that I will be showing you to stretch your wet twists and keep it stretched even after it has dried. You just got a call... need to rush out... like in less than 5 mins. Your hair is a mess? What do you do? Grab 4 bobby pins and follow the video tutorial below and you will look like the Belle of the Ball! As 2014 approached, I started to think about what my goals for my natural hair will be for 2014. One of my wonderful Facebook likes asked me to do a video and after much thought, I came up with 5 goals that I have for my natural hair. Here they are. What are your goals for your natural or transitioning hair this year? Trimming your natural hair can be a bit confusing, if you do not get it professionally done. Do you trim it while wet? Do you trim it while dry? Do you trim it when loose and free? Do you trim it when twisted? Do you ... Do you trim it while threaded? Do you... Do you...? I have never got my hair professionally trimmed, but for all these years, I have always trimmed my hair and my daughters' hair myself. One day, we will get it done professionally, but for now, this is how I do it. I make sure I saturate my hair with a conditioner to keep it soft and a bit damp. I then proceed to combing it from ends to root with a wide tooth comb. I use a fine tooth comb ONLY on the ends of my hair to remove any stubborn knots. Then, I feel my hair and trim off as much as I feel is needed. Usually, you will be able to tell where the trimming needs to occur when combing with the fine tooth comb because you will feel a tight snag. Final Look.... Yeah ! I have a Heart shaped afro!! After I washed my hair, here is a close up of my natural hair. For a step by step video, here is a video I did early 2013. 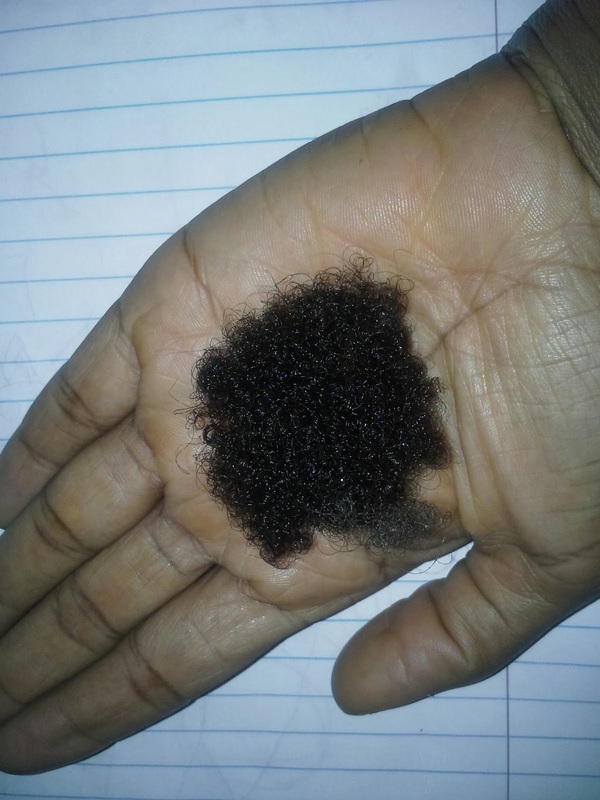 How do you trim your natural hair? 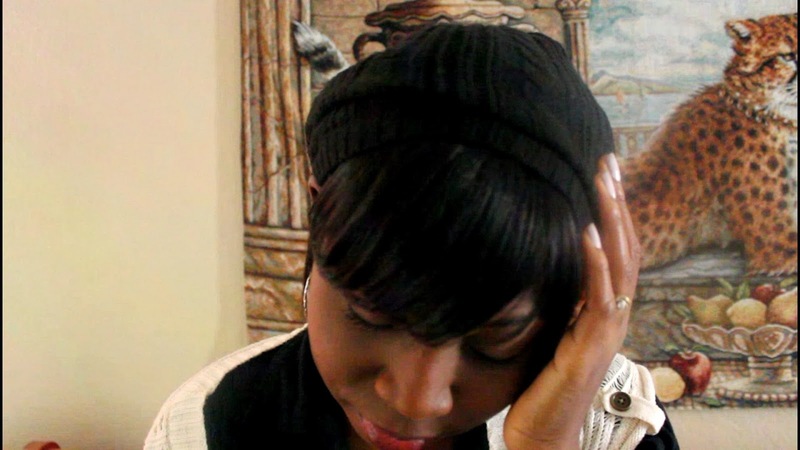 Receding hairline does not only affect men, but also women. This condition can be genetic so I was not surprised when I have been noticing that my hair has been receding similar to how my father's hairline is. I needed to know what I can do to help rectify this problem. Here is the beginning of my receding hairline journey. Moisture this area after washing my face; morning and night. If all fails, then style to hide problem.. =(... LOL! We had so much fun at the beach on our second day of vacation. It was wonderful to wake up to a beautiful sunrise. Every day I have an opportunity to see a new sunrise, I thank God for my many blessings. For my husband, my girls, and my extended family and friends. The girls had so much fun picking sea shells by the shore. Big Sis wanted to take all the shells! LOL! The seagulls were SUPER friendly. If you are holding a bag, they assume you want to feed them. Lil Sis was scared of them. Click here to watch to find out if Seagulls attack. After some sightseeing on Pensacola Beach, we had dinner at Flounders Chowder House, a great seafood restaurant. The food was nice, the portions were huge!! Lawd! I could only eat a 1/4 of my meal. If you ever visit Pensacola Beach, stop on over at Flounder's for a great meal. As beautiful as the sunrise was, the sunset was spectacular! I wish I could bottle it up, but since I can't, hope you enjoy the view! Introducing DNVlogsLife... our newest channel dedicated to Sharing Life, Motivating Others and Learning from Experience. 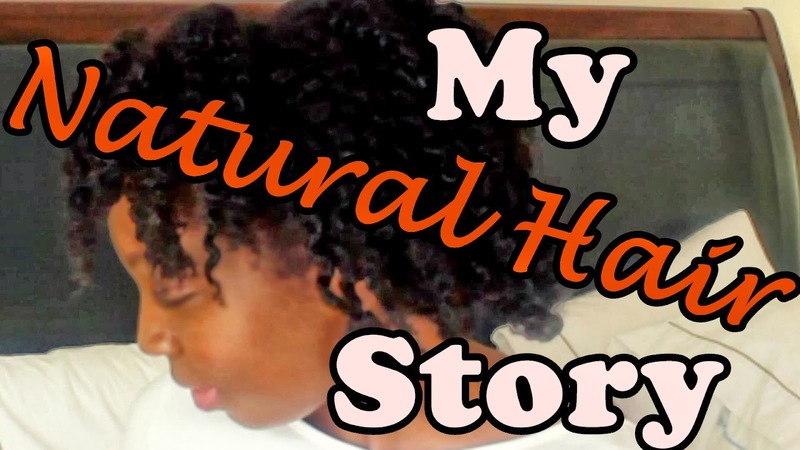 In this new channel, which is an addition to our Natural Hair channel, DiscoveringNatural, we will be sharing a little piece of our life, weekly with you. We hope you join us on the DNVlogsLife channel.